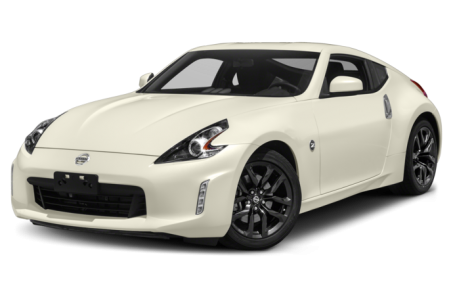 The 2019 Nissan 370Z is a two-seat sport car that comes as either as a coupe or a convertible. It is powered by a 332-hp, 3.7-liter V-6 engine mated to a six-speed manual transmission and rear-wheel drive. A seven-speed automatic is available as well. The high-performance NISMO version gains 18-hp over the non-NISMO model by using a high-flow exhaust system and optimized engine calibrations.